EU spokes person Christian told: We have formed a commission who has taken this charge to monitor whatever is happening with Lira and also its sudden sharp decline. We are aware of all possible facts and outcomes and we are in a state of observation as most of the banks in Turkey are owned by European or Middle Eastern investors. So there is a possibility that this turmoil could impact European markets. This weekend Turkish President Recep Tayyip Erdogan called on Turks to help support the lira by selling their dollars and euros. “If there are dollars under your pillow, take these out,” he told supporters at a rally in the northeastern Turkish town of Unye. Now, the lira has plumbed new depth, after US President Donald Trump confirmed on Friday that he had approved the doubling of tariffs on Turkish steel and aluminium following the detention in Turkey of US evangelical pastor Andrew Brunson on terrorism charges. Experts have warned that this may not be a localised crisis. This morning other emerging market and high-yielding currencies tumbled across the board, “despite the fact Turkey accounts for just one percent of the world economy”, The Daily Telegraph reports. 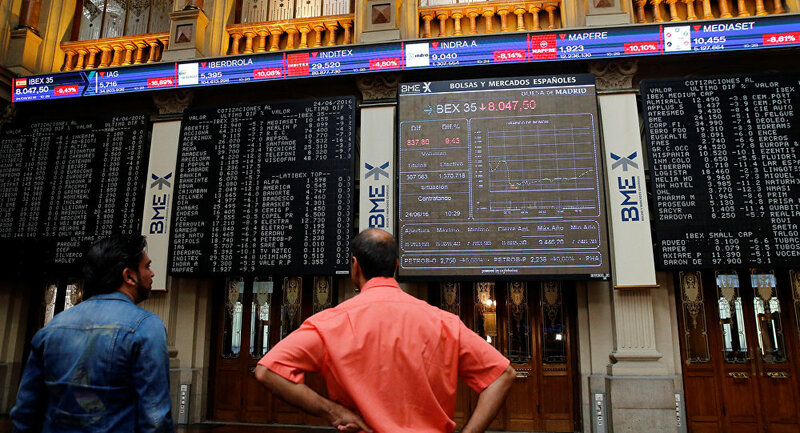 The crash saw European markets fall sharply when markets opened, particularly in countries with banks exposed to the Turkish currency, such as Spain’s BBVA, Italy’s UniCredit and France’s BNP Paribas. On Friday, the FTSE fell 75 points, while Germany’s Dax ended the day down 2%. Reuters reports that emerging market currencies continue “to reel as investors worry about contagion”, exemplified by the South African rand, which dropped 3.1% this morning, while the Russian rouble dropped 0.8% and the Mexican peso 1.5%. Elsewhere, the euro fell to as low as $1.1365, a 13-month low, before recovering to trade down 0.2% to $1.1382. The dollar, which has rallied in the Turkish lira crisis, gained 0.1% to 96.463 against a basket of major currencies, Reuters adds.